Basement remodeling is growing very quickly in popularity. As it does, companies are scrambling to design basement finishing systems that they can then sell to this new marketplace. Drywall products are being made that are slightly more resistant to mold (greenboard). Additionally, new wall products that use fiberglass, fabric, and even string are being offered all over Illinois. 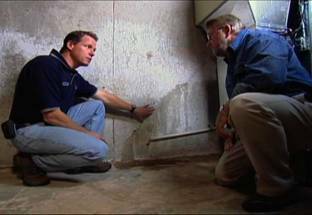 Are these basement finishing products advantages or simply alternatives? Is there really anything out there that will prove superior to simply hiring the guy down the road to come in and hang drywall in the basement? Total Basement Finishing would like to show you the steps of our company takes so you can see how our trained certified contractors really stand out from the crowd. From the first call on, you'll know you've reached the right basement remodelers with the services, products and results you need for your basement remodeling solutions. 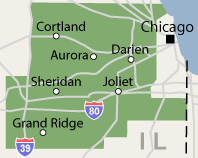 Contact us today for a free estimate in Naperville, Aurora, Joliet, Elgin, Schaumburg, Cicero, Des Plaines, Bartlett, Palatine, Arlington Heights, Kenilworth, Glencoe, Eola, Winnetka, Hoffman Estates, Barrington, Orland Park, Berwyn, Wheaton, Downers Grove, Boilingbrook, Oak Lawn, Oak Park, Lombard, Glenview, Saint Charles, Lockport, Elmhurst, Melrose Park, Plainfield, Carl Stream, Elmwood Park, Dekalb, Evanston, Northbrook, Tinley Park, Mount Prospect, Skokie and the surrounding Illinois area. 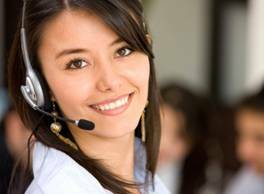 Here at Total Basement Finishing our company is committed to providing excellent service from the first contact. When you call or e-mail us for your free , no cost, no obligation, basement remodeling estimate in Illinois, a trained representative will greet you, with no need to navigate through a frustrating automated system. 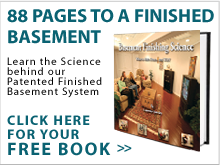 Once you set up your appointment, a full-color 88-page book on basement finishing will be mailed to your home. If you're not available during a weekday, appointments with our experienced contractors are also available during nights and weekends for your convenience. Meeting with a basement design specialist is the best way to plan out all of your basement finishing goals to ensure a long-lasting and professional basement remodeling. Your finishing options will be entered into a unique 3D basement finishing simulation program that will help you visualize your project while calculating the price, with detailed explanations of the products you are interested in. There are NO high-pressure sales presentations, gimmicks or prices that are reduced by twenty, thirty or even fifty percent over the course of the visit! Our prices are where they should be the FIRST time, so you know you are getting your money's worth from the start. 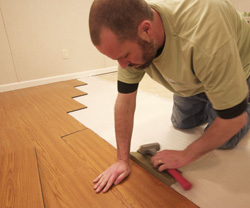 Total Basement Finishing provides professional basement finishing services by licensed professionals at an affordable price in Naperville, Aurora, Joliet, Elgin, Schaumburg, Cicero, Des Plaines, Bartlett, Palatine, Arlington Heights, Kenilworth, Glencoe, Eola, Winnetka, Hoffman Estates, Barrington, Wheaton, Berwyn, Orland Park, Skokie, Downers Grove, Tinley Park, Mount Prospect, Boilingbrook, Oak Lawn, Oak Park, Lombard, Glenview, Saint Charles, Lockport, Elmhurst, Melrose Park, Plainfield, Carl Stream, Elmwood Park, Dekalb, Evanston, Northbrook and neighboring Illinois areas.